The City Girl is a stylish and modern A-line garment with three lengths: top, tunic and dress! The yoked bodice with gathered front makes the city girl perfect for any body type! 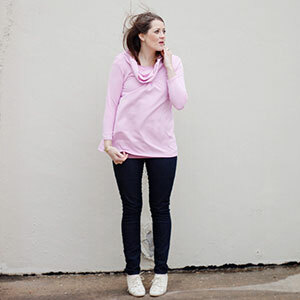 Choose to add a super fun cowl collar or leave it off for a top perfect for warmer weather. 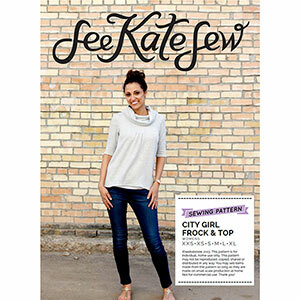 The city girl pattern will cover your sewing bases for all seasons, whether you live in the city or the country! Suggested fabrics are medium weight knits with at least 30% stretch such as cotton jersey, cotton lycra, french terry, interlock or ponte de roma.